I’m in the car on the way home from the NRA Board Meeting. Bitter and I didn’t stay for the whole meeting. We decided to head over to The Nations Gun Show in Chantilly, VA to meet up with reader AughtSix. I bought some primer, powder, and bullets while I was there, and then AughtSix was gracious enough to treat Bitter and I to some BBQ. It’s good for us to go to the meeting to represent bloggers. NRA has really put themselves out there with the outreach, and there’s a lot of interest in bloggers and blogging among staff and board members. 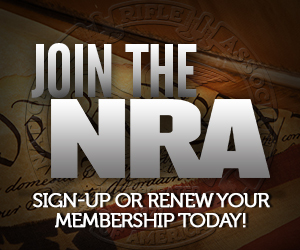 They have shown themselves to be serious in reaching out to us, and I think it’s important for us to show we’re serious about being part of the NRA. It helps validate NRA’s effort in this for board members and staff to see us there. Hopefully this is a relationship that will continue to develop. The NRA/Blogger relationship has come a long way since the 2007 Fall Board Meeting when Chris Cox and I sat down to figure out how we could work together.